Maximize your production, minimize your presence! Hydraulic dredging is one of the most efficient forms of removal and transport of dredged sediment and debris, and because all material is contained within a sealed pipeline, there is minimal impact to the surrounding community and infrastructure. When combined with a proper debris management program, hydraulic dredging is one of the most economical and effective approaches for challenging dredge conditions. When considering a hydraulic dredging option, one should not assume that the presence of heavy debris will be an impediment to production. 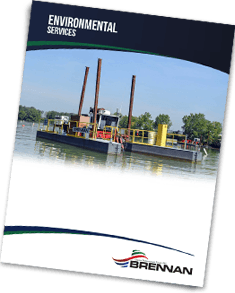 Coupled with an aggressive debris management program, hydraulic dredging can be every bit as effective as a mechanical dredge plan. 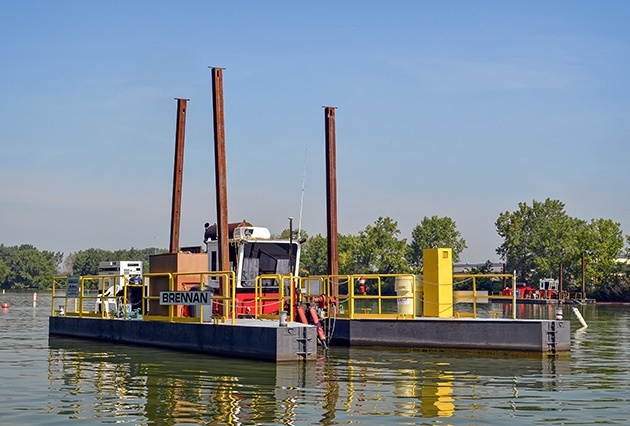 At Brennan, we often implement a hybrid dredge plan that incorporates both surgical hydraulic dredging and mechanical dredging. 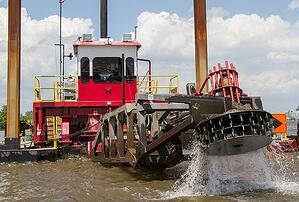 This approach will maximize production while ensuring that any dredge residuals are minimized/ eliminated. In addition to our dredging capabilities, a complete environmental remediation and restoration often involves the installation of a barrier wall system and turbidty controls. When dredging is completed, the river bottom or lakebed is often covered with sand or an engineered cap to create a clean substrate for re-population of the benthic community. Brennan also offers mechanical dredging services using state-of-the-art positioning equipment to maximize production and preserve accuracy. You can learn more here.